Pin Cushion Swap – It arrived!! 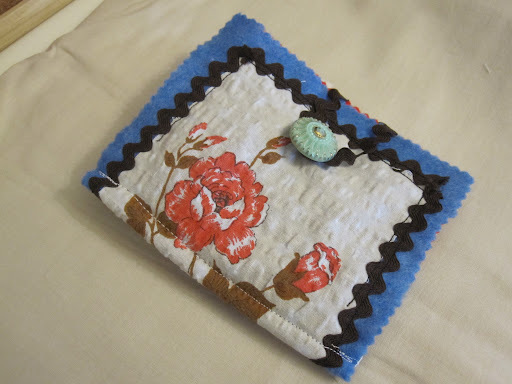 I recently joined with the pincushion/needlecase swap organised by http://houseofpinheiro.blogspot.com.au and http://charlottesewfarsewgood.blogspot.co.uk – this is my first online challenge so I was quite excited to see what it was all about. They paired me up with a lovely lady Tarryn of http://butterandbuntings.blogspot.com.au in Melbourne, Australia. She told me she liked bright colours and vintage so I made something really cheerful and a little bit fun that I hope she likes, but at the moment it is a secret as it is still stuck in our mail system. I will post up pics as soon as she receives it (I really hope she likes what I made). My parcel arrived on Friday (sorry for the late post but yesterday was a crazy day) – I was very excited to receive it, but not as excited as I was when I opened the parcel and saw what I received! Tarryn made me a lovely needle case which will be super handy – at the moment I just kind of stab my needles wherever is handy. 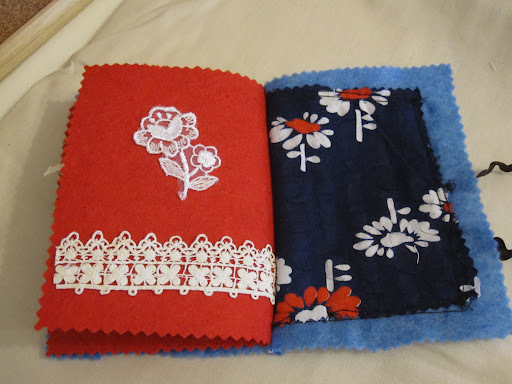 I really like how Tarryn selected the colours based on my sewing room which is blue and red. It even has needles and pins in it! Look – polka dots!! Love!! 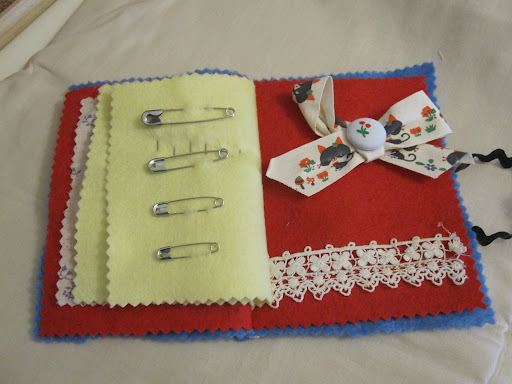 There are so many pretty trims used and I love the little touches like the apple and the cute kitten ribbon brooch. This is just fabulous and my thanks go to Tarryn for her work on this beautiful needlecase and to Rachel and Charlotte for organising a fun swap. 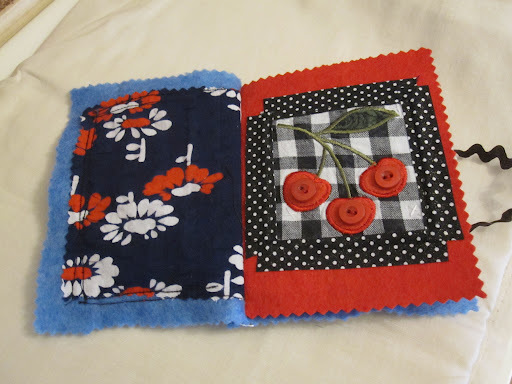 It was a great way to meet some new people in my newly discovered sewing/hobby community. Now, I just have to wait for Tarryn to receive her present! Come on Australia Post!! Oh how cute.. Isnt this pincushion swap exciting and fun. Glad you like it! And guess what! I recieved yours today! Ive blogged about it already because I am sooooo happy and excited with what I got! Thankyou soo much! 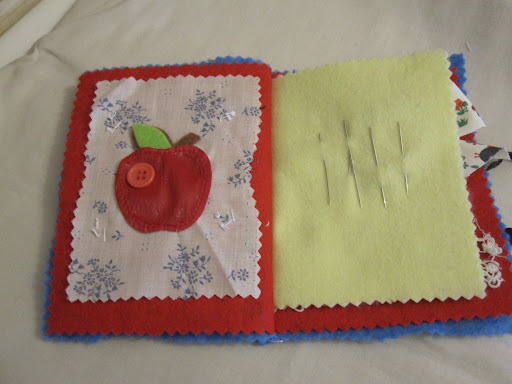 What a wonderful needle case! Lucky you 🙂 Now I feel inspired to make something like this for myself!